Obesity isn’t just about being overweight anymore. It’s about life, health, and now, it’s about changing people’s attitudes. 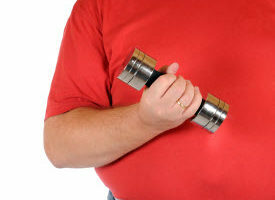 The American Medical Association (AMA) has officially recognized obesity as a chronic disease. Defining obesity as a disease should spur physicians and patients — and insurers— to regard it as a serious medical issue. One in three Americans are obese, according to the Centers for Disease Control. Obesity is not only widespread, but it’s become a real health risk. It can lead to other serious problems such as diabetes and cardiovascular disease. Patients sometimes are in denial about their obesity, says Dr. Terpeluk. “This can help move them out of denial and get the real problem put on the table to be talked about with their doctors,” he says. Perhaps more importantly, doctors will be free to talk to a patient about weight as an important medical issue. “If you can get serious about problems, you can get serious about solutions,” says Dr. Terpeluk. Bariatric surgeon Philip Schauer, MD, agrees that the decision strongly encourages both patients and physicians to take obesity more seriously. “The word ‘disease’ is a label, but sometimes labels help,” says Dr. Schauer. “It de-emphasizes the discriminatory aspects of obesity and focuses on the legitimate health problem,” he adds. 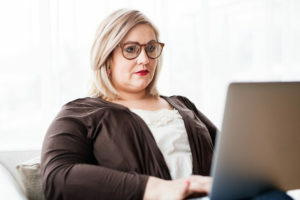 Now that obesity has been determined to be a disease itself, rather than a risk factor for others, more effective prevention and treatment are likely, says Dr. Schauer. This decision may also impact funding for treatment. When the Affordable Care Act’s health care exchanges are formed in 2014, decisions will have to be made about funding to cover specific treatments and conditions. Dr. Schauer says that since obesity is now defined as a disease, it stands a much better chance of getting appropriate funding. The decision will have a “strong impact on public health and public good,” he says.